For the first time ever in ARIA Albums Chart history, the top six albums are all new entries, with the closest previous effort occurring on 24th May this year when we had the top four as all new entries, prior to that it last occurred on 30-Nov-1997 with another top four, but never the top six. So Lorde takes out the No.1 spot with her debut album “Pure Heroine”, scoring the third highest weekly sales of the year (so far), and the album becomes the 684th No.1 album in Australia (1965 to 2013) and the 543rd for ARIA (1983 to 2013) plus by debuting at the top it becomes the 338th album to do so, and 23rd No.1 debut in 2013. “Pure Heroine” becomes the ninth No.1 album for Universal (direct) in Australia, the last being in February with Of Monsters & Men. 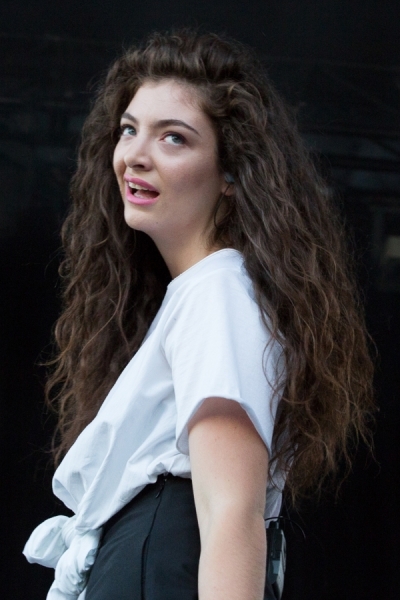 Lorde is also the first female artist from New Zealand to top our charts here, and the album is the tenth by a New Zealand act to land at No.1 here, the previous nine all belong to one group of NZ acts. 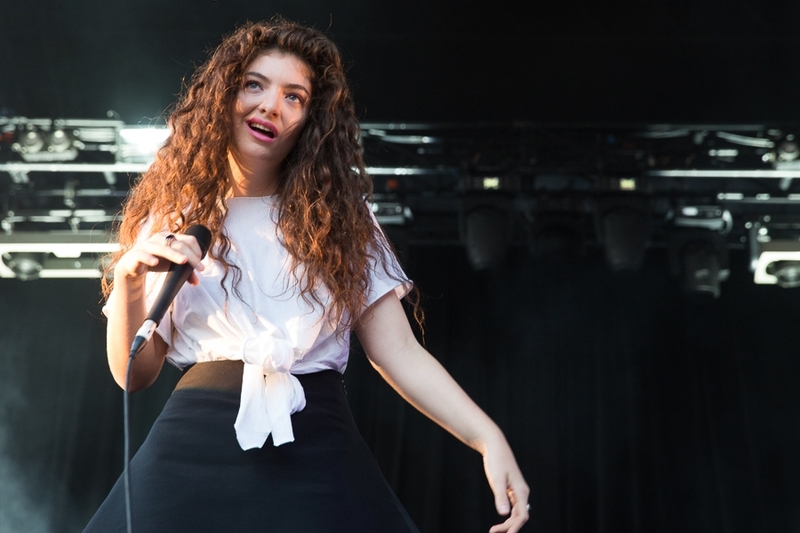 Split Enz had three No.1 albums, Crowded House (Oz/NZ act) had five and Neil Finn had one, so Lorde also becomes the fourth act from New Zealand to reach No.1 here. It’s the first time that both the words ‘Pure’ and ‘Heroine’ have been seen in a No.1 album, with the only previously charting Heroine coming in March 2006 from the group From First to Last, reaching No.71, whilst it’s the eighth album to chart featuring ‘Pure’ in its title, the previous best effort being Defryme and “Purekiller” (HP-4, June 1994) but there was also another NZ act in Hayley Westenra who hit No.7 in July 2003 with her album “Pure”. Lorde also becomes the 97th Female Artist to reach No.1, the last new album being “Red” by Taylor Swift (29-Oct 2012), whilst Pink’s “The Truth about Love” (July/Aug/Sept) was the last by a female solo artist. Also entering high with their debut album at No.2 is California trio HAIM with “Days are Gone”, which features the current No.12 single “The Wire” and previous entries “Don’t Save Him” (HP-66, Jan 2013) and “Falling (HP-86, March 2013). New at No.3 is the tribute album “Crucible – The Songs of Hunters & Collectors” which features covers by Birds of Tokyo, Eddie Vedder & Neil Finn, Cloud Control, Something for Kate, The Rubens and The Avalanches plus a disc of the originals by the band. Justin Timberlake debuts at No.4 with “The 20/20 Experience 2 of 2” whilst the original part 1 is back up to No.92 and “The Complete Experience” (both 1 & 2) is new at No.64. The first album debuted and spent two weeks at No.1 at the end of March this year, and the current album has produced the single “Take Back the Night” (HP-57, Sept 2013). Birdy sees her second album “Fire Within” enters at No.5, whilst her first self-titled album originally debuted and peaked at No.29 in late April 2012, with the album returning to the chart in early August and climbing to No.1 in the first week of September 2012. The current single from this new album “Wings” is at No.33 this week. And the final new entry to the top six at No.6 is “We Are Young & Free” from Hillsong Young & Free, one of the many musical groups within the Hillsong organization. This is the 29th album from the Hillsong church to charts and is their 62nd released. So with only four positions (7 to 10) within the Top 10 surviving from last week, we see Drake drop from No.2 to No.7 with “Nothing Was the Same”. Jason DeRulo is only down three places to No.8 with “Tattoos” helped by his promo visit here this past week, whilst “Fuse” for Keith Urban is down six places to No.9 and at three weeks charting, is the oldest album within the Top 10 this week, whilst last weeks No.1 debut of “Mechanical Bull” for Kings of Leon drops to No.10, but the album does pick up a Gold (●) certification. NEW PEAKS & MOVERS: Cher’s album “Closer to the Truth” is one of the few albums to hold from last weeks debut (#17), and with Alan Jackson touring the country at the moment, it helps his latest set “The Bluegrass Album” to jump up fourteen places to a new peak of No.18, whilst his previous album “Thirty Miles West” (HP-6, June 2012) returns at No.44 and he is also up thirty-nine places to No.56 with “The Very Best of” (now ▲ Platinum) and he’s back in at No.62 with “34 Number Ones” (HP-7). “The Great Gatsby” Soundtrack jumps back up forty-six places to No.20 and is now Gold (●) in sales, thanks to the DVD and Blu-Ray release this past week, whilst further tourists One Direction see their albums “Take Me Home” (27 to 21) and “Up All Night” (23 to 22) rise due to their current national tour. Rihanna is also touring here, and her “Unapologetic” (HP-8) album is up seventeen places to No.27, and Birds of Tokyo AFL Grand Final appearance and national tour help their former No.1 album “March Fires” to leap up fifty places to No.31 this week. Also jumping is Disclosure with “Settle”, up twenty-nine places to No.30 and returning to the Top 100 at No.46 due to their tour are Foals with “Holy Fire” (HP-1, Feb 2013). DOWN DOWN: With so many high new entries this week, there are tonnes of dropping albums, with Arctic Monkeys’ “AM” (4 to 11) Pink’s “The Truth About Love” (8 to 12), Jack Johnson with “From Here to Now to You” (6 to 16) “True” by Avicii (10 to 19) Rudimental with “Home” (9 to 24) and “Alive” for Jessie J (7 to 28) all leaving the Top 10 from last week. Also dropping are Metallica (16 to 29), Imagine Dragons (24 to 34), Boy & Bear (25 to 36), Chvrches (13 to 39), Nirvana’s 20th Anniversary Edition of “In Utero” (22 to 42), Eskimo Joe (12 to 43), Troy Cassar-Daley & Adam Harvey (33 to 47), Ellie Goulding (37 to 52), Dream Theater (15 to 55), GroupLove (18 to 57), John Mayer (38 to 65), Bastille (47 to 73), Placebo (35 to 87), The Bloody Beetroots (28 to 94), Adalita (30 to 96), and leaving from last weeks Top 50 are Sting (#39), Kodaline (#43), Krewella (#45), Hellions (#49) and Nine Inch Nails with Hesitation Marks from No.50. The fourth album for Alter Bridge debuts at No.13 entitled “Fortress”, becoming their highest charting album here, as they have previously charted with “One Day Remains” (LP#1, HP-37, Aug 2004) and “AB III” (LP#3, HP-35, Oct 2010). Dizzee Rascal sees his new album “The Fifth” debut at No.33, becoming his second album to chart here. His fourth set “Tongue N’ Cheek” (Oct 2009) reached No.18, whilst a re-packaged tour edition in June 2010 made it to No.95. Moby sees his eleventh album “Innocents” debut at No.35 becoming his eight album to chart here (6 studio, 1 box set and 1 best of) and first since his ninth set “Wait for Me” (July 2009) debuted and peaked at No.50. Below 50: Bernard Fanning jumps up twenty-one places to No.51 with his former No.1 album “Departures”, and the INXS compilation “The Very Best” is back up fourteen places to No.69. Returning albums this week include the compilation set “Natural Selection” (HP-40) from Hunters & Collectors at No.59, “Beautiful Noise” (HP-9) for Lee Kernaghan at No.61, “#1” for The Beatles at No.70 due to ‘Glee’ doing a Beatles episode last week, “18 Hits” for Abba at No.81. Ricky Martin landed in the country recently for his new tour here, and his “Greatest Hits” (HP-2) album is back in at No.88 and after his recent No.1 album, Keith Urban and his collection “The Story So Far” is back in at No.95. The second album for alt-country Melbourne band Lachlan Bryan & The Wildes becomes their first entry this week, debuting at No.53 is “Black Coffee”, whilst the self-titled debut album for Scar the Martyr (side project for Slipknot drummer Joey Jordison) is new at No.67. And finally the third album for former Live lead singer Ed Kowalczyk entitled “The Flood and the Mercy” is new at No.72, having previously charted with his first solo release “Alive” (HP-42, July 2010). Former GnR and Velvet Revolver guitarist Slash has revealed details on his second album.